This is the final installment of Brief History of Tank Development. To round things up, we'll get a look inside modern tanks, now that tanks have been in development for 100 years! In the 1970s, the anti-tank missile became an effective weapon. Attack helicopters, which were often equipped with these missiles, came to be feared by tank crews. This, however, did not change the fact that tanks were still core to ground combat. 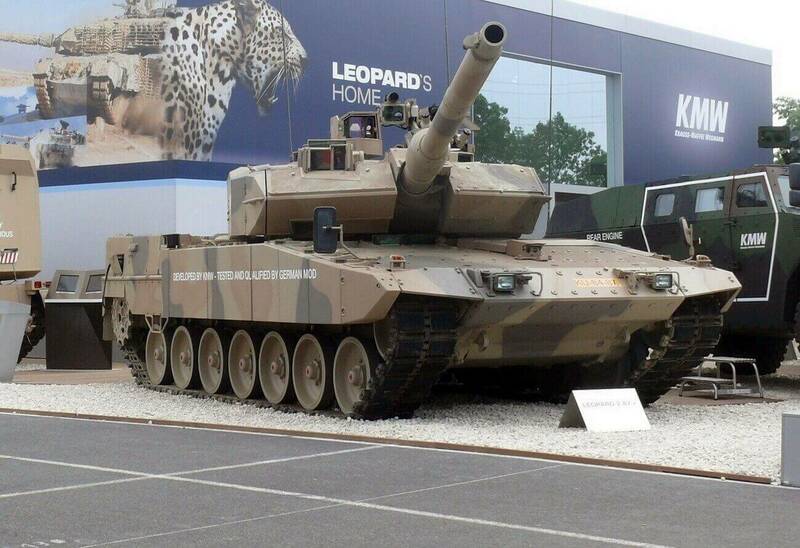 Germany developed the Leopard II in the 1980s, which came equipped with a 120mm smoothbore gun. The Leopard II was recognised as the best tank in the world before United States developed the M1 Abrams. Of course, the Leopard II is no slouch. It has been continuously modernised, and remains a cutting-edge weapon. After the end of World War II, existing American tank designs became outdated. The M24 Chaffee was replaced by the M41 Walker Bulldog light tank, which was equipped with a 76mm gun and could hit a high top speed of 72km/h. Taiwan received more than 700 of these M41s, some of which the Taiwanese Army improved and renamed the M-41D. M-41Ds are still in service today. The main battle tank of the US armed forces was the M48 Patton from the 1950s until the Vietnam War. At first, it was only equipped 90mm gun. Only when its design was modernised to the M48A5 did it receive an upgrade to a 105mm gun, which was commonly used by Western nations at the time. In the 1960s, the US developed M60 tanks, which were a step up from the M48, which retained the name of "Patton". 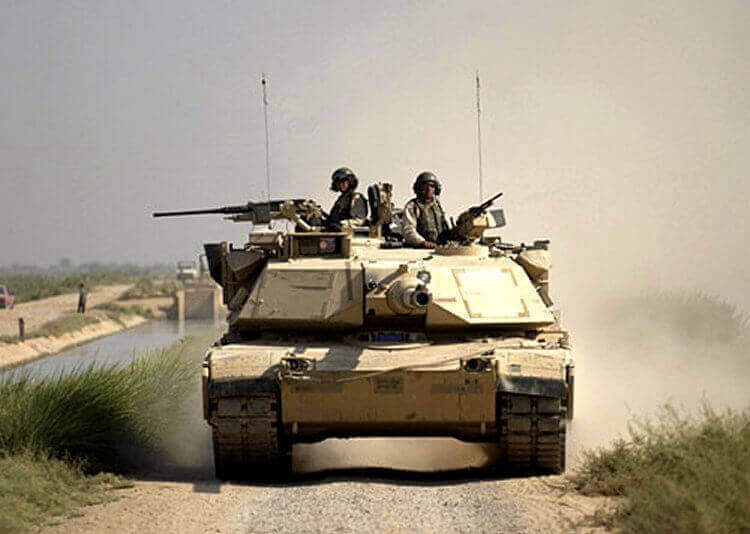 After that, the US did not develop any new tanks until they completed development of the M1 Abrams in the 1980s. Taiwan Army had received many M48A3 tanks with 90mm guns. Some of them were upgraded to “CM-11”(M48H) tanks with 105mm guns later. 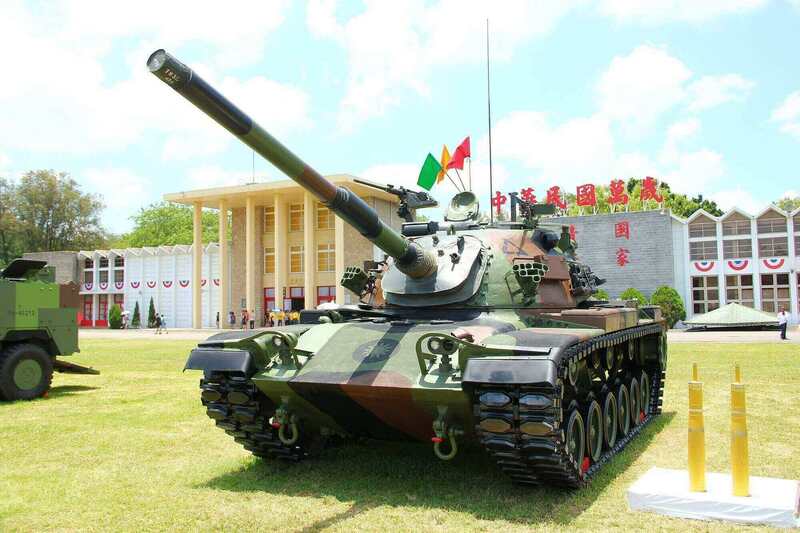 Taiwan Army also received M60A3 tanks thereafter. Both of them are main battle tanks of Taiwan Army now. Taiwan (R.O.C.) Army CM-11 "Brave Tiger"
The M1 Abrams was a revolutionary specimen of tank design. It possessed new composite armour, an advanced fire control system, and a powerful engine that could produce more than 1500 horsepower. The only flaw was that its armament was a 105mm gun, whereas other Western nations had already equipped their tanks with 120mm guns. When it was upgraded to the M1A1, it was up-gunned to mount a 120mm gun. After the completion of the M1 Abrams, the British developed the “Challenger” tanks, which came with composite armour. 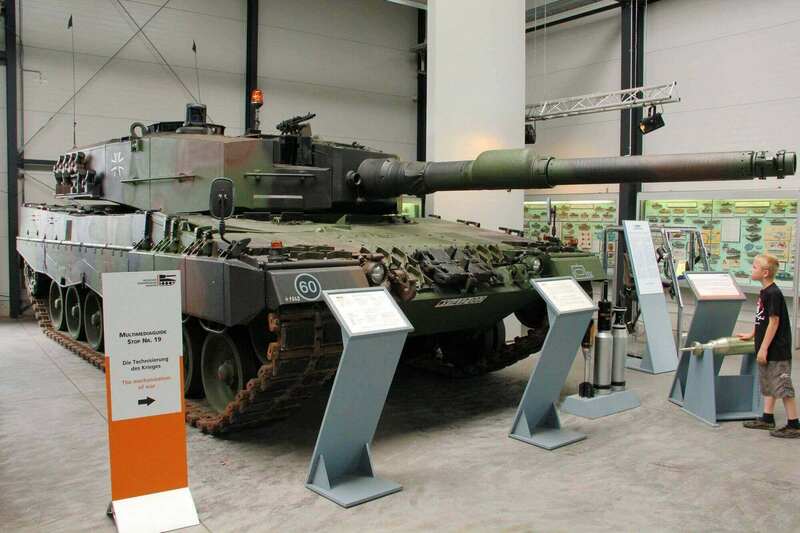 Germany upgraded their Leopard 2s into Leopard 2A7s. 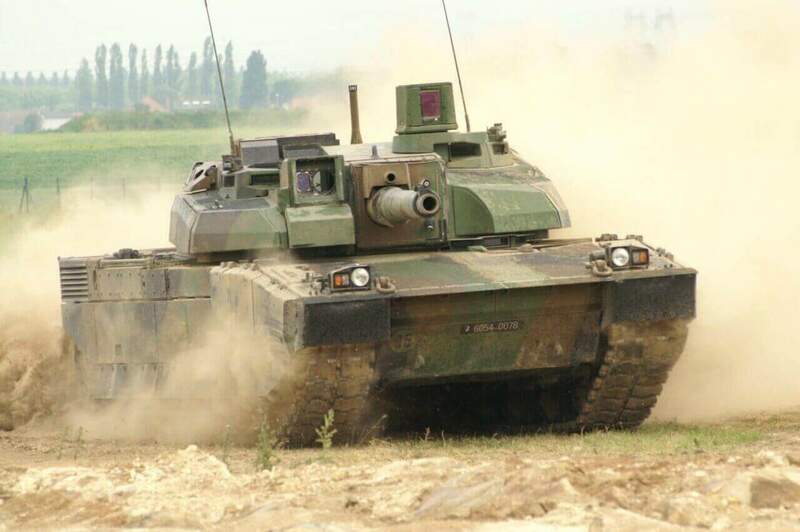 In the 1990s, Japan built the Type 90, which was similar to the Leopard 2. 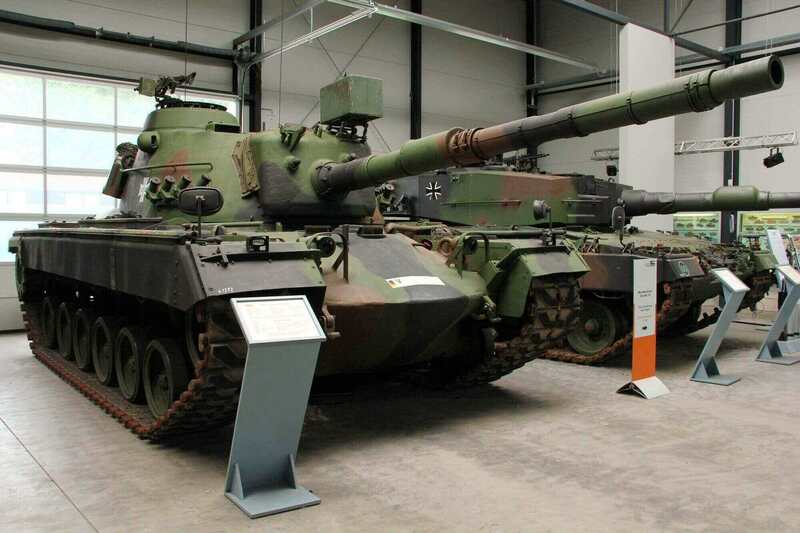 The French developed the AMX-56 “Leclerc”. The Soviets developed the T-80 and T-90, but because of the dissolution of the Soviet Union, it became difficult for Russia to keep their tanks competitive against those of the Western nations. 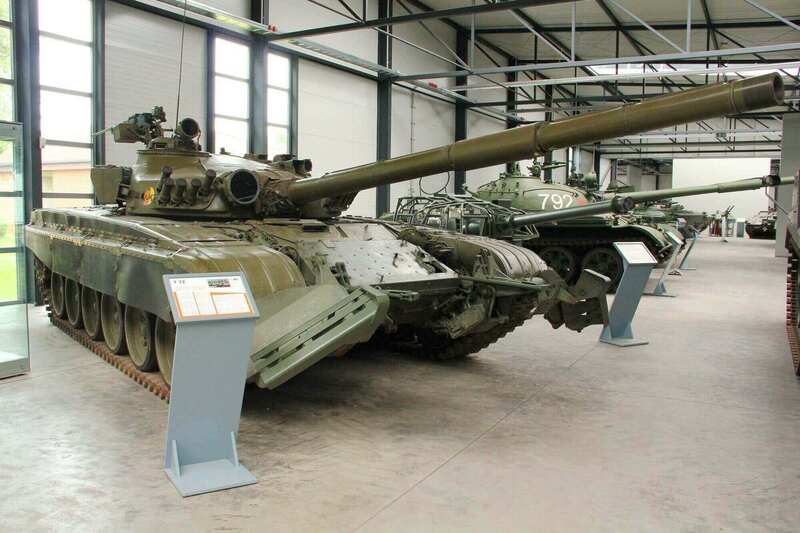 In keeping with their doctrine, the T-80 and T-90 were both equipped with autoloaders. In the two Gulf Wars of 1990 and 2003, the T-72 formed the core of Iraqi armour. When they faced the American M1 Abrams or the British Challenger tanks, they were overwhelmed, especially in night battles. The M1 Abrams can consistently destroy a target from a distance of 3000m, far beyond the effective range of the T-72's gun, which can hit targets up to a distance of about 1800m. Throughout the wars, only a handful of M1 Abrams were destroyed, whereas T-72s were destroyed in large numbers. Of course, pitting tanks of different generations against each other tends to lead to a one-sided outcome in favour of the more modern design. However, it is now evident that improving the quality of each tank and their crews through technological advancement and training is key in the modern battlefield. It can render numerical advantages irrelevant. In recent history, the global political environment has greatly changed. Because traditional large-scale conflicts between one faction and another no longer exist, European nations have actively disarmed themselves. The need for new tanks is not as great as before, although developing nations such as China, India, and Brazil are more likely to develop new tanks. Of course, in the near future, tanks will remain in service. The tank is an irreplaceable weapon in any modern arsenal, and will continue to dominate the battlefield!